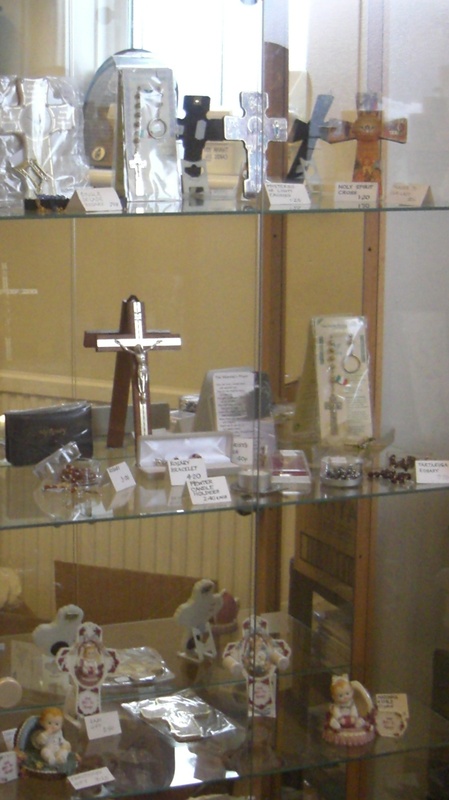 Open after both Masses on Sunday, the Piety Stall has a selection of gifts and cards for every sacramental and seasonal occasion. If they do not have what you want there is a catalogue to select from and the suppliers are very prompt with deliveries. There is also a selection of cards available in the Server’s Room to the left of the altar if you need a card when the Piety Stall is not open. There is a rota for each of the weekend masses to ensure that the Piety Stall is available.